Hello all! I am sorry I have not had the chance to share my cooking adventures with you, but life has been fairly crazy the last few months! I moved into a new apartment and work has been pretty busy…I will share with you all the hard work that has been going on once everything calms down. Also, my sister is getting married next weekend and I have been trying to avoid the kitchen in all honesty…I can’t wait for the wedding and to share all of the pictures and GREAT food from the big day, but for now all I can share with you is a preview of what is yet to come. I moved in with my best friend and my Italian partner in crime. We spent 4 great months together in Italy and I am excited that we will get to cook together (well, she can enjoy my cooking). But her 25th birthday is on Sunday, so I am treating her to an Italian feast. I am planning on making Lasagna and Tiramisu to celebrate her accomplishment of being a quarter of a century old!! 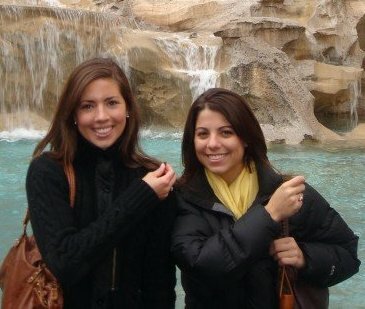 Happy early birthday Laura – I can’t wait to celebrate this weekend and have an Italian reunion in our new kitchen! 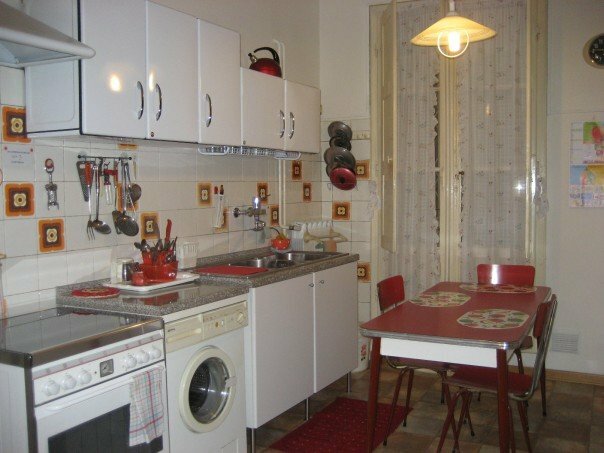 Here is a picture of our kitchen in Florence. Our new kitchen is not as cute as this petite red kitchen and it does not include our washing machine next to the stove, but it is just as homey and will include just as many good meals as this one did, just not as often!